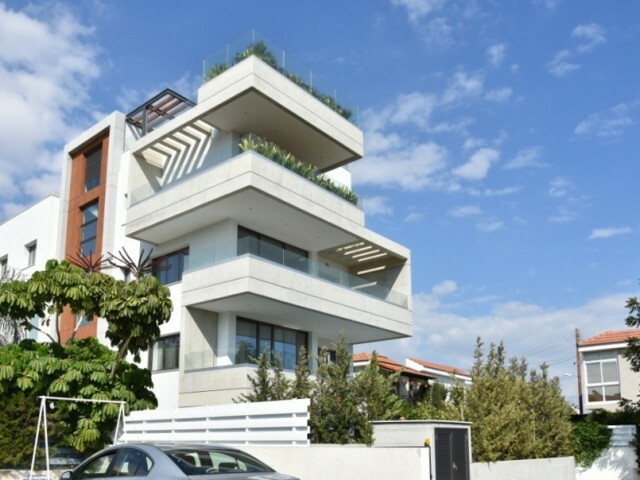 Luxury 4 bedroom penthouse in a prestigious complex, located in the Potamos Germasogeia area of ​​Limassol. The project consists of 23 elite apartments and is located only 150 meters from the sandy beaches of Dasudi Park and all amenities of the c.. 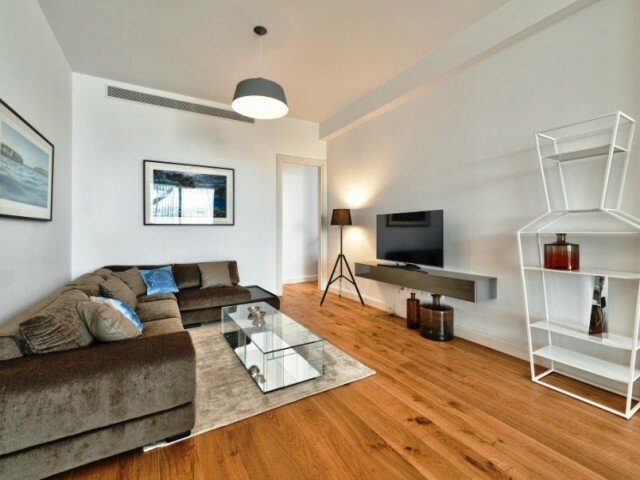 Stylish spacious three bedroom apartment in a modern complex. There are only four 3 bedroom luxury apartments in the building, a carefully designed master plan that provides convenient access to the serviced gardens, a luxurious swimming pool and ..
New apartments in the center of the city of Limassol. Indoor parking and guest parking. The green and landscaped area. Storage room and a spacious veranda. The apartments are equipped with kitchen unit, built-in closets in every room, solar panels..
New luxury 3 bedroom apartment in Limassol. The apartments are fully furnished and equipped with new appliances. Two bathrooms and a guest toilet. Spacious veranda with sliding windows. Separate laundry room, storage room, covered parking. Entry i.. 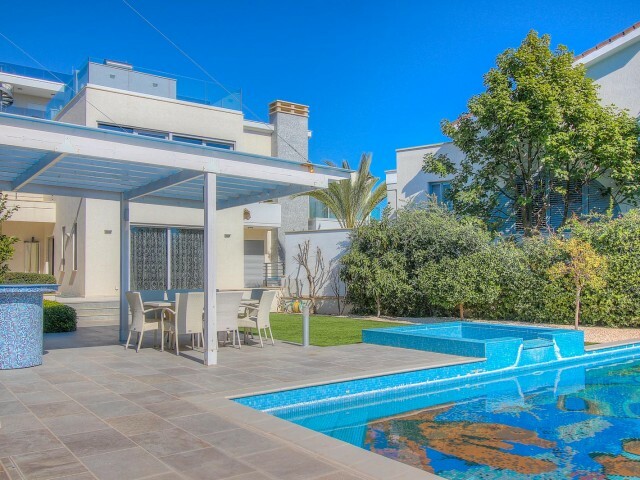 Luxury five bedroom villa in Limassol District Creen Area. Separate area for guests or staff. Private swimming pool, covered parking for 3 cars, central heating, fireplace, garden with fruit trees, barbecue area. The villa is equipped with furnitu.. Spacious three bedroom apartment in Limassol covered 130 square meters located on the third floor. Gated community in Bodyline area is located opposite a green park in a quiet and peaceful place. Two bathrooms, spacious verandas, electric blinds, ..
Two bedroom apartment in the central part of the city, the district Neapolis. The apartments are fully equipped with furniture and household appliances. In walking distance of a supermarket, the city park and zoo, cafes and restaurants, pharmacies.. The spacious one bedroom apartments in Limassol. Next to the supermarket Alfa Mega and Debenhams store. In a 7 minute walk from the sea and the promenade of Limassol. The apartments are fully equipped with all necessary furniture and household app..
New penthouse with 4 spacious bedrooms in Limassol. Fully equipped with new furniture and appliances, is located in the area of the supermarket Papas. Two parking spaces, storage room. Penthouse is located a 3 minute walk from the beach. Covered A..
Five bedroom villa in Agios Tychonas, in an area of 850 m². The villa has three floors. On the ground floor there is a home cinema, two bedrooms with en suite bathrooms. On the ground floor is a spacious lounge area with a TV, a spacious kitchen, ..